​RAF Faldingworth was located four and half miles from Market Rasen to the south east of the River Ancholme. ​with mock ups of Whitley bombers scattered around the field. 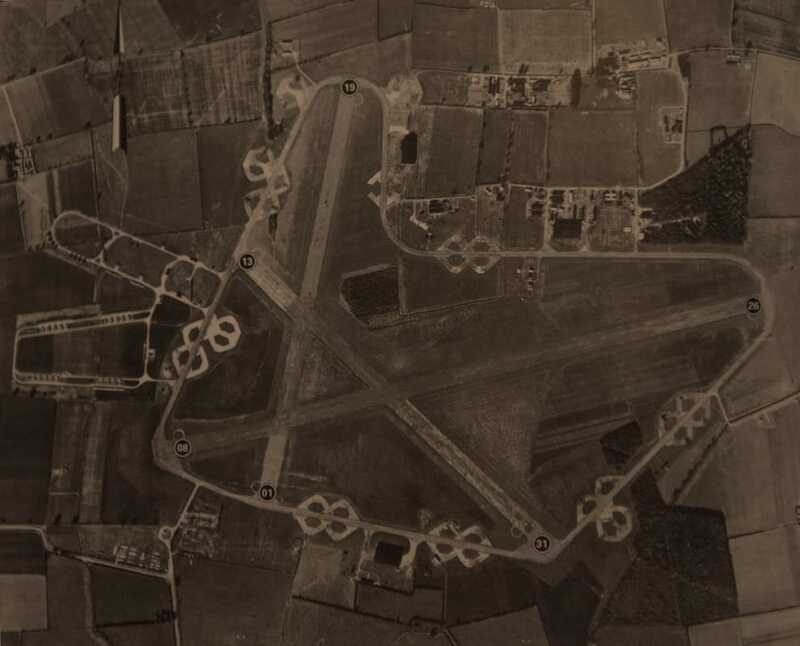 In July 1942 the contractors Tarmac Ltd and J Cryer & Sons commenced construction of a Class A airfield at Faldingworth. Three runways were laid 08-26 at 2,000 yards, 01-19 and 13-31 at 1,400 yards. Thirty six hardstandings were connected to the perimeter track with hangars provided in the form of two T2s and one B1. Domestic, communal, mess and sick quarter sites were dispersed to the north east near Newton by Toft with accommodation provided for 1,957 male and 281 females. Faldingworth was allocated to 1 Group and acted as a satellite to RAF Lindholme in South Yorkshire. In 1943 with the Allied bombing campaign in full swing both by day with the USAAF 8th Air Force and by night with Bomber Command, the need for crews to replace operational losses was paramount. The task within Bomber Command to train crews fell upon the Operational Training Units (OTU) and later Heavy Conversion Units (HCU). 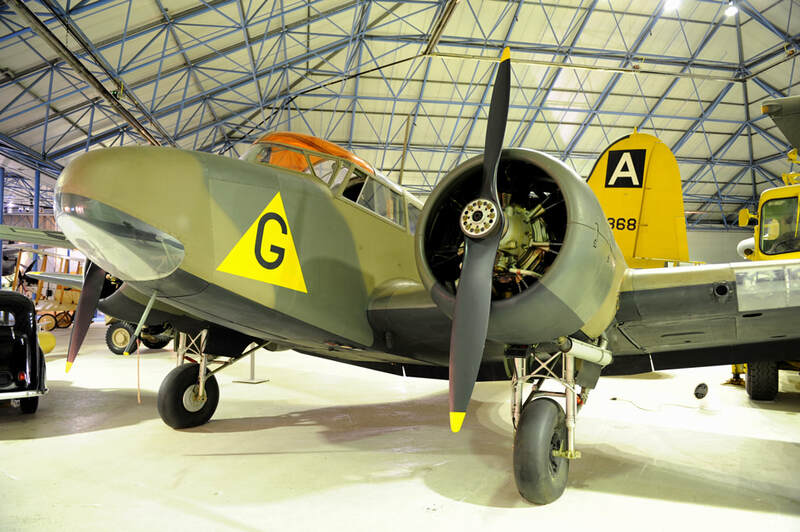 These units were usually equipped with war weary aircraft, which ceratinly did not make the task for crews any easier with the added factor of aircraft reliability to concern themselves with. 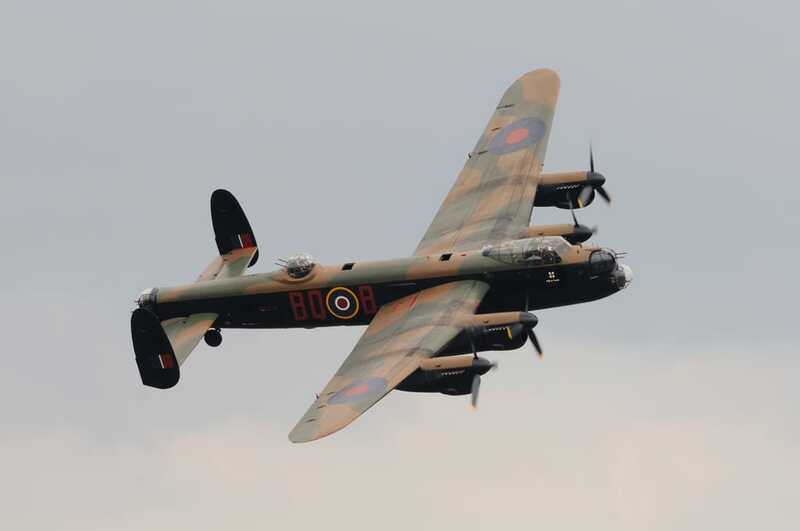 The Lancasters time at Faldingworth with 1667 HCU was coming to an end as a descision was taken to concentrate all Lancaster training for 1 Group within one unit. ​The Lancaster flight of 1667 HCU was renamed "C" Flight of 1 Lancaster Finishing School and departed to RAF Hemswell. This left Faldingworth as an all Halifax airfield. No 1667 HCU's time at Faldingworth was short but before the Unit's departure one further serious accident was to occur. On 23 January 1944 Halifax V DG358 took off from the airfield at approximately 14.40 hrs for a high level cross country training flight. Whilst flying at 20,000ft the bomber's starboard outer engine failed which forced the aircraft to loose height. Descending into thick storm clouds the aircraft quickly iced up which caused it to go out of control. The Halifax's starboard wing became detached which sealed the aircraft's fate and that of it's crew. Coming to ground at Cwm Farm, Bryn y Groes, Bwlch y Fridd in Wales with the loss of all nine on-board. 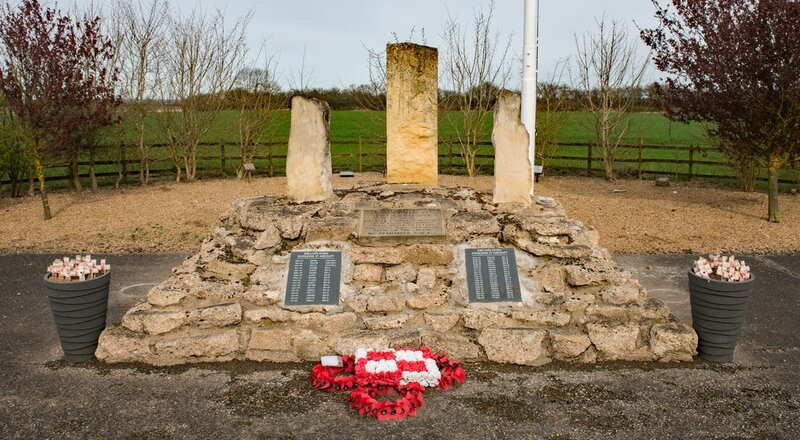 ​By the end of February 1944, 1667 HCU had moved out to RAF Sandtoft and Faldingworth became part of 14 Base under the control of RAF Ludford Magna. This was to be the last operation undertaken by Bomber Command Wellingtons and all aircraft returned safely. Wellingtons did continue for a time as Radio Countermeasures aircraft and with OTUs within Bomber Command. 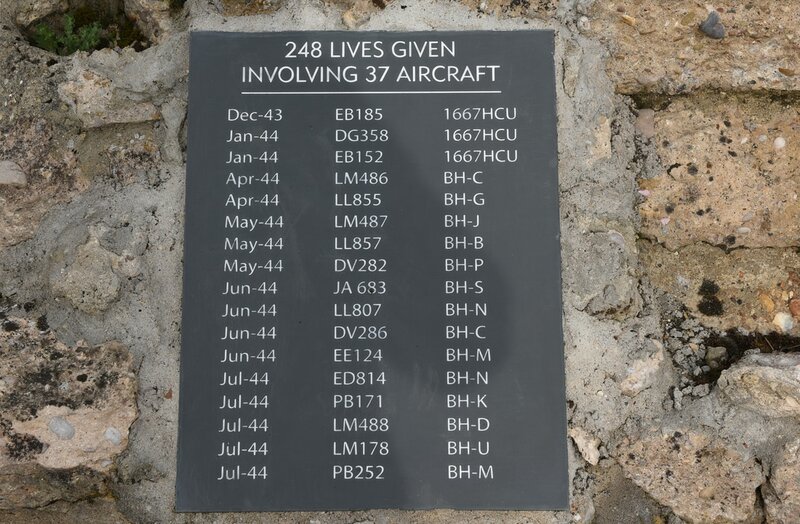 The first operational losses for 300 Squadron whilst flying from Faldingworth occurred on 24/25 April 1944, when Lancaster I LL855 BH-G and Lancaster III LM486 BH-C failed to return from a raid on Karlsruhe, with the loss of all crew. It was not always enemy action that caused the loss of aircraft and crews. On 22/23 May 1944 Lancaster I LL857 BH-B took off from Faldingworth at 22.40hrs for an operation to Dortmund. The aircraft was obliged to turn back following engine trouble and jettisoned part of its bomb load over the sea. As the Lancaster made an approach to Faldingworth's runway it collided with the airfield's gunnery butts. Two crew members died instantly with six others being pulled from the wrecked aircraft, one of whom died of his injuries a few hours later. In May 1944 another unit joined the Poles at Faldingworth. Equipped with eight Airspeed Oxfords, 1546 Beam Approach Training Flight was formed. The Beam Approach system consisted of two radio transmissions originating from the same point which with the aid of aerials produced elongated lobes. 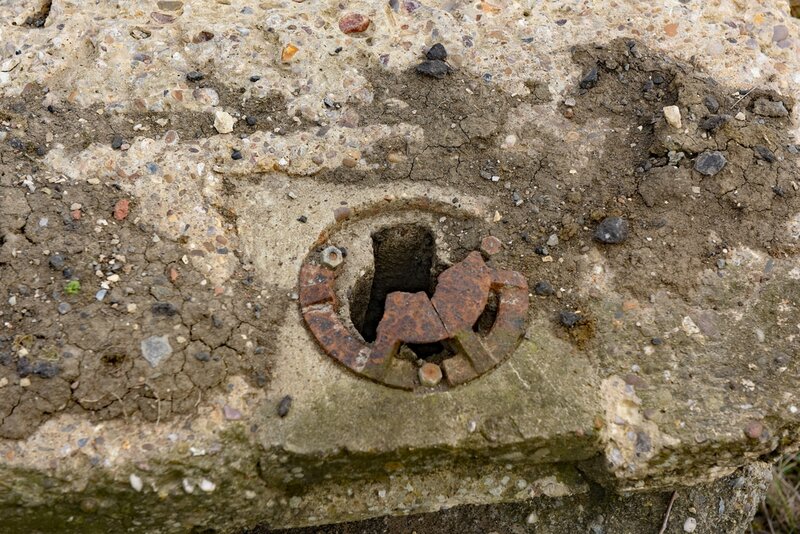 By overlapping the lodes a beam was created that could be aligned along a single bearing. This would commonly be a runway centreline. One lode would transmit a continuous 'N' in morse whilst the other an 'A'. The space in between where the lodes overlapped produced a continous tone. A pilot when on course for the runway centreline would hear this continuous tone and if he deviated from the course would hear an N or A. Learning to fly whilst hearing the continuous tone was a very important skill to be mastered by pilots as it allowed them to land in at night and in times of poor visibility, something very often experienced at bomber airfields. The Flight remained at Faldingworth until its disbandment in January 1945. In June 1944 a second flight for 300 Squadron was formed but there was a shortage of Polish crews. This necessitated the use of personnel of other nationalities to equip the flight until further Polish crews became available. 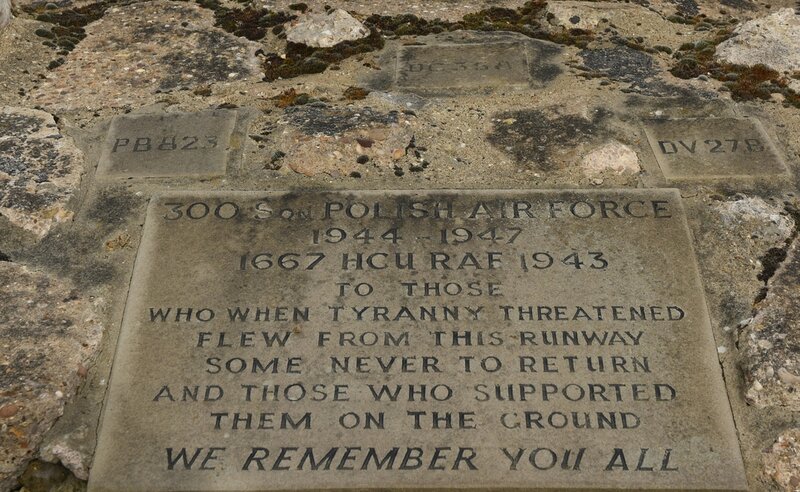 The bravery and determination of the Polish crews was well recognised by Bomber Command and they went on to fly in the main offensive until the end of operations. The final raid for 300 Squadron was on Berchtesgaden on 25 April 1945. The final operation for the squadron of the war was in support of Operation Manna on 7 May 1945, where supplies were dropped to starving Dutch civilians. Although 300 Squadron was the only operational unit at Faldingworth in the war, C Flight of 166 Squadron formed at the airfield with Lancasters in October 1944, before moving to RAF Kirmington. During their time at Faldingworth 300 Squadron flew on 138 operations, which equalled 1,216 sorties, in the process losing 30 aircraft, a 2.5% loss rate. The squadron continued to operate from Faldingworth post war and took part in Operation Dodge (repatriation of Allied POWs in Italy and Mediterranean) and Operation Exodus (repatriation of Allied POWs in Europe). The squadron finally disbanded in October 1946. Later in October 305 (Ziemia Wielkopolska) Squadron flew its De Havilland Mosquitos IVs into Faldingworth from Germany. No 305 was disbanded at the airfield in January 1945. This effectively spelt the end of flying at Faldingworth with the station being placed under Care & Maintenance parented from RAF Hemswell. In April 1949 Faldingworth transferred from Bomber Command to 42 Group Maintenance Command, for use as a sub-site for 93 Maintenance Unit, which remained in control until 1957. 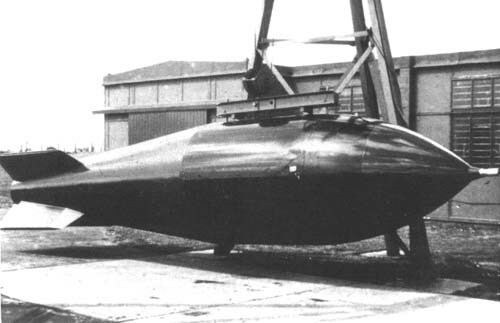 With the start of the new decade in the early 1950s Faldingworth was selected as a site for the storage and maintenance of nuclear weapons, in particular Blue Danube which was Britain's first nuclear weapon, used by Avro Vulcans from nearby RAF Scampton and Waddington. The site came under the control of 92 Maintenance Unit and was completed by 1957. ​With the storage of nuclear weapons Faldingworth required a much more robust security regime. Watch towers were constructed and layers of fencing both mesh and concrete topped with barbed wire greeted any potential trespassers. The facilities inner compound was accessed through electrically operated gates, with this area protected by free roaming guard dogs. In 1969 free fall nuclear weapons were withdrawn from active service and the RAF's use for Faldingworth ended with it closing in 1972. Subsequently Faldingworth was aquired by The British Manufacture & Research Company and Oerlikon (later owned by Royal Ordnance) who used the site as a test and production facility. 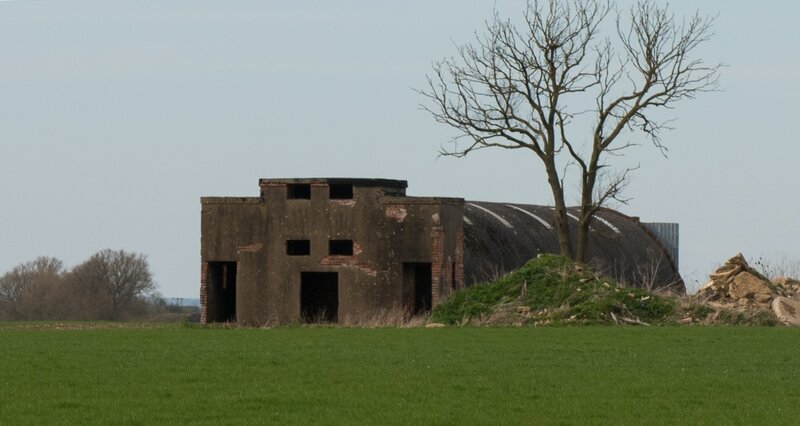 Royal Ordnance used the site for armament storage and experimentation until putting it up for sale in 1996. RAF Faldingworth was mostly sold off for agriculture in 1998 but some of the site remains in use as a firing range, explosive testing facility, reasearch & development and film work. 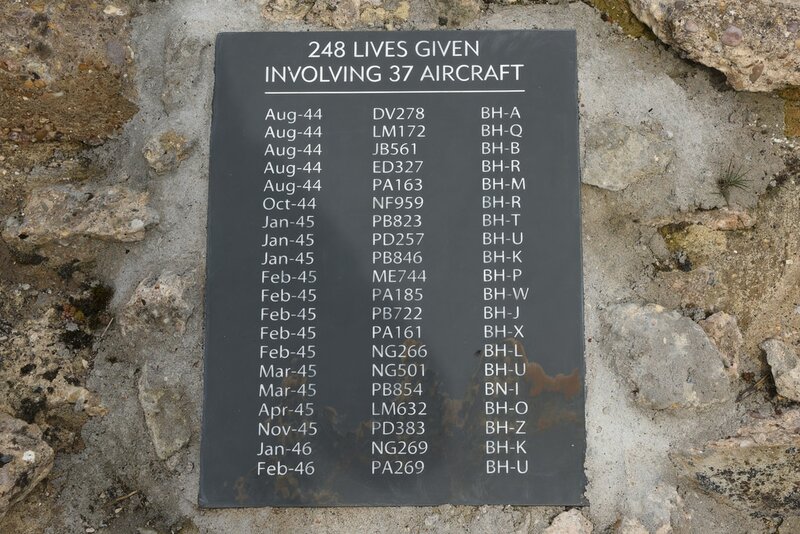 The memorial located at the head of runway 08/26 is dedicated to 1667 HCU and 300 Squadron. The memorial is constructed from pieces of concrete from the runways, perimeter track and buildings. 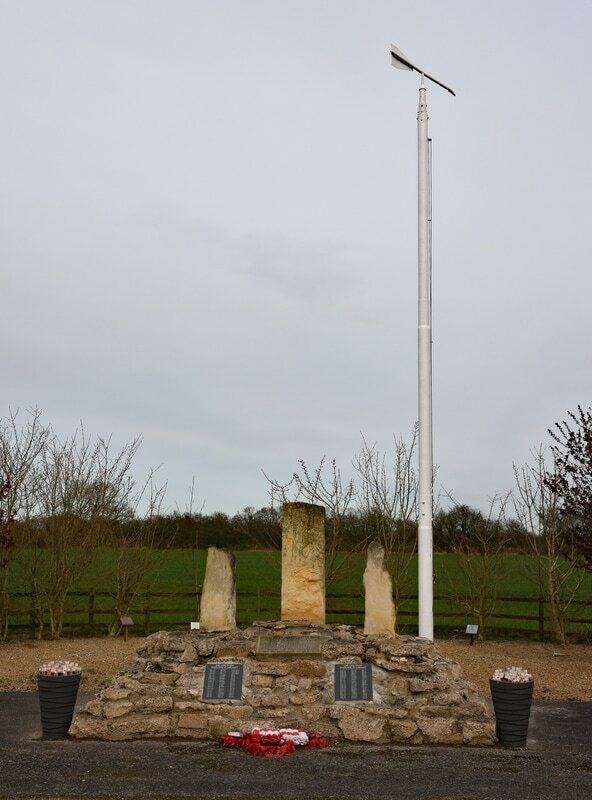 Within the base of the memorial small parts of aircraft lost from Faldingworth have been placed. Parts from Polish crewed aircraft have been buried in soil from Masovia Poland. Three columns of stone rise from the base of the memorial which represent Lincoln Cathedral, a landmark very familiar to Bomber Command crews. Located behind the memorial is Faldingworth's old windsock post. 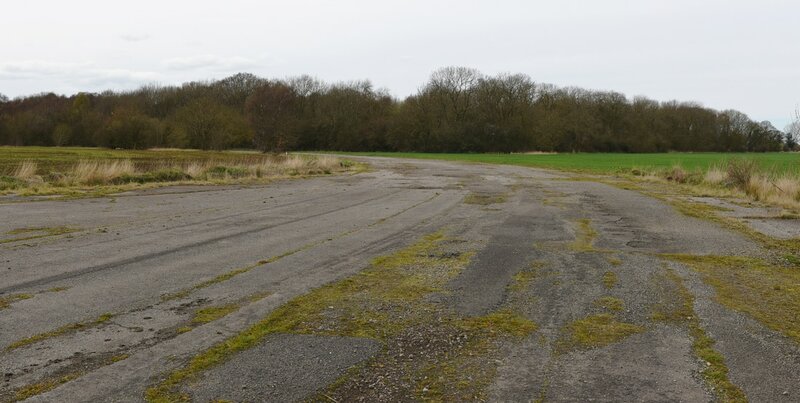 Below shows some of what is now left at RAF Faldingworth (2016). 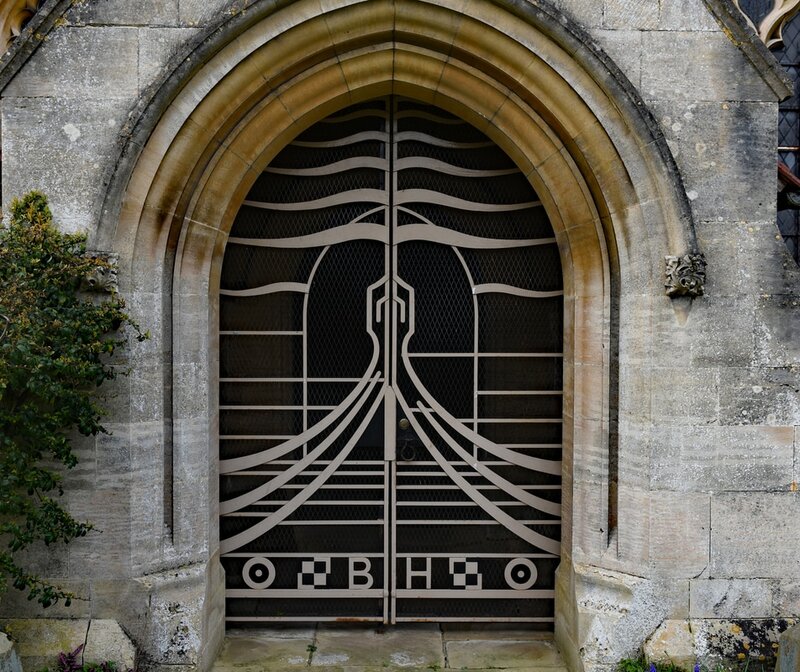 No 300 Squadron's code letters of BH have been incorporated into the design of the gates.